Each sailing credit is worth £1. You can add additional credits to your membership plan at any time by increasing your monthly payment amount to purchase the number of sailing credits desired. If you do still have any credits left over at the end of your annual plan then you can purchase a gift voucher for the value of your remaining credits, which can then be used for a purchase in the coming year. 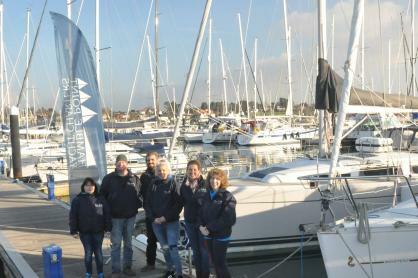 Who are we & why choose Hamble Point Yacht Charters? In addition to yacht charter – both bareboat and skippered, we also offer corporate sailing events, private sail training and RYA sailing courses as well as organising numerous events throughout the year to facilitate your sailing.